Happy Easter! I can't wait to see what the Easter Bunny brings me. More dollhouses to make no doubt! I'm working on a new project of course. It will have a 4th of July theme. I'm working with the Kotton Kandy kit. It's a super easy kit to put together. I'm not making structural changes to this one. It's perfect the way it is. I've already made this house once before. Remember the New Orleans Dollhouse? So far I've gotten all the exterior painted, the downstairs floor is being painted right now, the ceiling is "tin" tiled. I'm working on a few more projects, but I'll share those later. Can't wait to see what you do with this one. Hurray for the red, white and blue!!! Well.... I suffered through trying to put together the Storybook house. Grrrr, gotta say, I didn't like it much...but, it can only get better. Right? Have a fun filled weekend and a blessed Easter. Hei Caroline & Hyvää Pääsiäistä täältä Suomesta! Wonderful..will be waiting to see more! Every time I see your new project I can't wait to see it finished!!!! 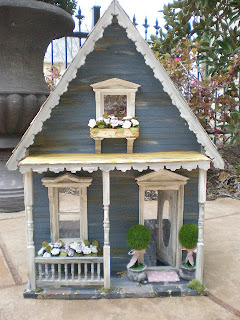 I didn't known New Orleans Dollhouse, it's wonderful like all your works! Happy Easter! I love the Kotton Kandy kit, it's so beautiful and I'm really looking forward to following your next project, as always I know it will be amazing!!! I'm curios to see your new projects. ohhhh- I've been spying on some of your inspiration pics on pinterest and I just know this next house is going to be fabulous! Hope you have a blessed Easter Caroline!!!! 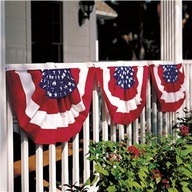 Hi Caroline : ) Cant wait to see another of your wonderful amazing houses. Wishing you and your family a wonderful peaceful Easter. Estoy deseando seguir los pasos de tu nuevo proyecto. I always look forward to your projects, Caroline. They're so magical! Have a lovely Easter and may the Easter bunny be very generous with you! Have a very happy Easter with lots of (chocolate) eggs !! Looking forward to seeing the finished house. Can't wait to see your next project, i am a very curios girl. Oh fun fun and fun! Can't wait to see what you do with this one. Happy Easter Caroline!!! 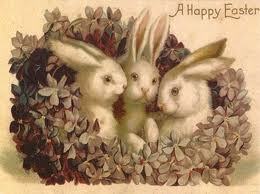 I'm behind on your little cottages so I have to catch up on your posts:) I do hope the Easter bunny is good to you!!! I love to see your new project in the 4th of July style, that sounds amazing! Happy Easter... What a delightful project you're working on ... I can't wait to se it progress... Blessings of Eastertide to you and your family..
Hi -- I know you had a great Easter (I want some brisket!!) 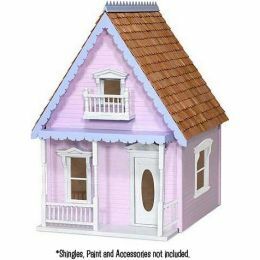 and I know this house will be adorable! Everything you do is gorgeous!